Critical scholars have noted a tendency in the field of music education toward idealization of the socially transformative power of music and a disregard of the counterproductive or ambiguous outcomes of social music making. In this article, I discuss some of the dominant conceptualizations addressing music as a means of social transformation, and I argue that these conceptions need to be expanded to fully account for these complex processes. By applying a theoretical model derived from critical musicology dealing with music’s mediation of the social on multiple levels, I propose an analytical strategy more attentive to the antagonistic and ambiguous social effects of musicking. This strategy is exemplified through an analysis of a music program in a Palestinian refugee camp, and I show how such critical analyses of musical sociality potentially result in recognition of a complex intersection of transgressive and normative functions of musical practice. Keywords: music education, social transformation, the power of music, musical sociality, critical musicology, Palestinian refugees. Music has transformative powers. This belief has, at least since Plato, informed our thinking about the connection between music, humans, and society and led to the promotion or the prohibition of specific forms of musical engagement in different historical eras and localities. In our time, music and the arts are almost unanimously celebrated for their positive influence on human life, and the belief in the transformative power of arts is so widely shared and deeply held that it, according to Eleonora Belfiore and Oliver Bennett, “represents something close to orthodoxy amongst advocates of the arts around the world” (Belfiore and Bennett 2008, 4). Progressive forces in the field of music education have long denounced the claim that music “in itself” or particular music styles could be inherently beneficial or a universal good. As Wayne Bowman (2010) writes, the belief that music should be “inherently valuable, invariably desirable, and unconditionally good,” is “all nonsense” (3). Rather, as praxial music education philosophers have repeatedly stressed, the value of music is contingent on its social circumstances and how it is used (see e.g. Regelski 1996, Elliott and Silverman 2015). It constitutes, in the words of Thomas Turino (2016), a “social resource” that can be used “effectively for good or ill” (297). For Turino, music’s positive value as a social resource is especially pronounced in what he terms participatory music making (Turino 2008, 2016). As inclusive, non-competitive and voluntary practices, such activities “can be potent resources for social change” (Turino 2016, 298). The participatory ethos Turino describes is the guiding principle of many music educational practices seeking to utilize music’s powers in the promotion of social inclusion, belonging, and social justice. Often associated with the field of community music (Higgins 2012; Higgins and Willingham 2017; Veblen, Messenger, Silverman and Elliott 2013) or inspired by the Venezuelan music program El Sistema, these practices are founded on the premise that “everyone has the right and ability to make and create music” (Veblen and Olsson 2002, 730), and they are celebrated for their alleged success in bringing about positive social change through active music making. I suggest that to account for the full range of consequences of social music making, including the ambiguous outcomes that Baker and Bowman point to, and thereby move beyond idealizing tendencies in the social analysis of musical practice, music educators must be equipped with analytical tools that not only let them examine the positive or negative effects of music making, but also reveal their complex entanglement. More specifically, when seen in connection to practices that seek to use music as a means of social transformation, this complexity can be seen as the simultaneous occurrence of processes of social transformation and social reproduction. Put in other words, social music making that at one level allows for a transgression of some confining aspects of the social experience of its participants may at the same time also potentially reinforce other parts of the social formation in ways that may not serve the interest of the people involved. In this article, I argue that some of the dominant conceptualizations of the connection between music making and social life are inadequate to fully account for such complex processes. Instead, these theories emphasize the transgressive potential of musicking, that is, how musical agents actively and intentionally fashion their social worlds through musical means and disregard constraining aspects, the way such practices also function to uphold and reinforce social normativity. I attempt to show how these theories can be expanded by adopting an analytical perspective from critical musicology, represented by Georgina Born, which more readily acknowledges the complex and potentially contradictory or ambiguous processes of social music making. A basic premise for any social analysis of music is that music is not detached from our experience of social reality but concerns our existence as social, historical, and political beings. As ethnomusicologists, popular music scholars, and music sociologists have shown, music is a constitutive element of our social and cultural world, a medium that not merely reflects the society or the beliefs of a given group of music makers, but through which social meaning and relationships are generated and performed. Implied by this perspective is the idea that music making can also be connected to processes of social transformation, a potential that is specifically addressed in the work of Christopher Small and Tia DeNora. These two scholars contribute with very different perspectives. Whereas DeNora’s work belongs to the interactionist tradition of music sociology, Small’s much less stringent theorizing draws on the philosophy of Gregory Bateson and anthropological theories of ritual. What unites them, aside from the fact that they both have had a significant impact on the field of music education, is that they have provided fairly elaborated and informative accounts of the social significance of music making. With a shared interest in “the musical event,” their theories deal with questions of how music is implicated in the constitution of the social world and how, therefore, it also can be involved in processes of social transformation. In the following, I will discuss these theories with specific attention to how their conceptualizations allow for deeper understanding of the ambiguous consequences of social music making. In Musicking: The Meanings of Performing and Listening (1998), Christopher Small suggests that instead of thinking of music as sounds, a score, or a musical work, music should primarily be understood as something people do. For capturing this idea of music, he coins the term musicking, which he defines as this: “To music is to take part, in any capacity, in a musical performance, whether by performing, by listening, by rehearsing or practicing, by providing material for performance (what is called composing), or by dancing” (9). Small’s emphasis on process rather than product leads him to state that musical meaning cannot be found in the musical sounds alone but must be located in the musical performance in the broadest sense, an event which Small believes to be of profound social significance. Small conceives the musical event as a social ritual that allows its participants to experience, affirm, and celebrate what they believe to be ideal relationships “between person and person, between individual and society, between humanity and the natural world and even perhaps the supernatural world” (13). These relationships are generated by the innumerable sounds, objects, actions, and interactions that constitute the performance and are immensely complex, “too complex to be articulated in words” (13). Musicking, however, “provides us with a language by means of which we can come to understand and articulate those relationships and through them to understand the relationships of our lives” (14). For Small, musicking also holds a transformative potential. Musicking not only expresses actual relationships but also allows for desired relationships to be “brought into virtual existence so that those taking part are enabled to experience them as if they really did exist” (183). In musicking, “participants not only learn about those relationships but actually experience them in their bodies” (96). Musicking is, in this way, a performance of social meaning that allows, at least temporarily, for exploration and affirmation of what has not yet materialized, but what participants imagine might be a shared future to come. While Small’s idea of musicking, without doubt, has expanded our understanding of music as the performance of social relationships, his theory nonetheless seems to simplify the connection between music and social life. The most apparent problem in Small’s theory is the advancement of the idea that “[e]ach musical performance articulates the values of a specific social group, large or small, powerful or powerless, rich or poor, at a specific point in its history” (133). Even though internal differences may result in the division of “subrepertories,” Small sees “an overriding unity” within culture reflected in the musical practices of a given group. Thus, in a musical performance, a group of people articulates: “This is who we are” (133–4). However, the suggestion that music in some way mirrors an underlying social structure has repeatedly been challenged by music sociologists as it seems to take for granted that social groups or “cultures” consist of coherent wholes and that specific forms of musical performance are causally linked to particular social positions (or in Small’s case, ideas about ideal relationships). When Small interprets the symphony concert as an articulation of Western industrial middle-class values, he neglects that this event can be experienced in different ways, and these experiences can again be put to use for various purposes, which do not all entail the affirmation of a specific set of values. This does not mean that no links exist between musicking and social structures. Small is right in pointing out that musicking is a well-suited instrument for generating and articulating a shared sense of identity. However, as Peter Martin (2006, 64) suggests, rather than seeing social groups as already existing entities, which then use music to articulate their values, “it is more productive to examine the ways in which a sense of participating in a distinct collectivity is produced through such collaborative activities and experiences.” This means that if participants take musical actions to be expressive of their social identity, rather than articulating a pre-existing identity connected to a shared set of values, this identity is a performative achievement, constituted in the musical act and maintained and negotiated in musical and other cultural practices. Whereas Small seems to suggest that musicking provides access for participants to understand the “real” constitution of their social worlds, I will argue that a more primary function of the musical performance is to conceal the arbitrary nature of these experienced social relationships and thereby naturalize and implicitly legitimate the existing social order. In this way, Small’s theory depicts musicking as a positive resource that can effectively be used by actors to reflect upon their social relationships and maintain or construct a desirable sense of self. However, I argue that this view underestimates the challenges connected to the construction of coherent self-identities as such processes are not just personal undertakings but require social validation. Thus, socio-cultural and institutional values, norms, and hierarchies pose certain crucial limitations that potentially place the individual in a state of conflict or ambiguity. Further, envisioning musicking as a site in which attachments can be freely chosen, Small downplays how some performances are more obligatory than others and how the resistance towards or inability to live up to the standards of identification with such practices may have punitive consequences. While Small often points to the contradictory and complex relationships that constitute the social experience, he maintains that in musicking such “contradictions can be reconciled, and the integrity of the person affirmed, explored, and celebrated” (221, emphasis added). By depicting musicking as a tool of reconciliation of contradictory social processes, Small, in my view, evades questions of how musicking is entangled in social and institutional formations of power that place constraints on how subjectivities can be constructed in particular social settings. Small’s theory of musicking must be acknowledged for its important contribution of providing an expanded view of musical meaning as residing not in “texts” but in music-as-practice. Several scholars have drawn inspiration from Small and applied his thinking creatively for a wide range of purposes important to the field of music education. As a theory of music and social transformation, however, I argue that Small’s ideas of the connection between musicking and social life do not adequately capture the ambiguous and sometimes contradictory nature of such processes. To fully account for these issues, Small’s ideas must be developed further. The music sociologist Tia DeNora has provided a theory of musical sociality that in many respects can be seen as a development of Small’s perspective and a correction to some of its omissions. Rejecting models that conceive of music as a reflection of social values or structure, DeNora directs attention to the co-production of musical and social processes. As she writes, “Music is active within social life: just as music’s meanings may be constructed in relation to things outside it, so, too, things outside music may be constructed in relation to music” (DeNora 2000, 44). From this perspective, connections between a larger social structure and music making cannot be presumed but must be documented at the level of actual practice. DeNora seeks to position socio-musical analysis on the “right level” of generality, shifting the focus from “what music depicts” to “what it makes possible” (DeNora 2003, 46). Employing the concept of affordance, DeNora suggests that an understanding of the relation between music and social reality should focus on the effects of musical engagement, how agents interact and do things with music that allow them to act, feel, or be in particular ways. Music itself works as a dynamic medium of social reality that “provides constraining and enabling resources” for the people who “engage with musical materials” (39). In this way, DeNora directs attention to the situational use of musical material in the production of social life. DeNora depicts actors as they engage in musical practices that “regulate, elaborate, and substantiate themselves as social agents” (DeNora 2000, 47) and thereby highlight some modes of being while suppressing others. She is especially attentive to the way music can be used to enhance certain experiences or states of feeling, control the aesthetic environment and inform subjectivity and action. Although DeNora also points to the way music potentially constrains or controls agents (see DeNora 2000, 3; 2003, 118ff), she is primarily concerned with the ways music provides agency, how it becomes a resource for “world building” (DeNora 2000, 44; 2003, 46). While DeNora’s work, without doubt, constitutes a significant contribution for socio-musical analysis, assuming a situational perspective of musical action and highlighting music’s function as a positive resource comes with the danger of failing to acknowledge some of the contradictory workings of musical practices. As David Hesmondhalgh (2008) points to, the perception of music as a cultural resource risks overemphasizing the positive aspects of music as a tool for self-creation. This idea, Hesmondhalgh maintains, implies that music functions as an autonomous resource that “floats free of social forces” and downplays how “music may become implicated in some less pleasant and even disturbing features of modern life” (333). Hesmondhalgh goes on to discuss how tools for emotional self-management, such as music, that from DeNora’s perspective provide users with increased agency, may, in fact, be used “in dubious ways by powerful interests” (333). Therefore, Hesmondhalgh (2013, 40–41) espouses a view of constrained agency that takes seriously the difficulties agents face due to social and historical factors and personal biographies to fashion their own life. Hesmondhalgh’s critique can be seen in connection to Georgina Born’s (2012) warning that assuming a situational or micro-social perspective of musical sociality, in which attention is directed solely to how actors engage with and use musical material, risks neglecting “other dimensions of the social in music,” most importantly “how such socialities are entangled in and mediate wider social relations and modalities of power” (265). DeNora, however, is not unaware of such macro-social processes, but she insists, referring to the work of Bruno Latour, that all structures “need to be examined in terms of mechanisms of operation, in terms of the agents or […] ‘actor networks’ within which social patterns and institutions are performed and, for varying lengths of time, consolidated” (DeNora 2003, 38). Social structures exist only to the extent that they are reproduced across time and space, and this leaves a gap for cultural action to fill. As DeNora writes, “one does not simply use culture to ‘do’ (i.e., realise, reproduce) pre-existing or assumed structures […], one may also tinker with what one takes to be ‘given’ structures, so as to achieve certain cultural ends, aspirations, and aims” (125). It is, therefore, possible, DeNora argues, to identify situations in which “culture takes the lead” and permit or afford actors “new ways of being and new social arrangements” (126). I believe DeNora is right when she points to the way musical or other cultural practices may provide actors with “new ways of being,” however, I argue that this position needs further qualification. First, I maintain that for such alternative social arrangements to come into existence and have some stability and validity, they are themselves dependent on an institutional arrangement, economic backing, or charismatic leadership that provides the necessary authority and legitimacy. Thus, new “affordance structures,” with their own possibilities and constraints, will be brought into existence. These formations can, of course, be considerably better than the ones they replace, but they will most likely contain their own limitations too. Second, considering Hesmondhalgh’s critique of the notion of music as a positive resource, there is always a possibility that such alternative arrangements depend or come to depend on existing social and institutional formations, the very same that they are thought to revolt against or replace. If we insist too firmly on the possibility of every individual to fashion his or her life, we will be more likely to perceive immediate signs of change, for example, new possibilities of action or new social forms, as representing a complete transformation of the social without investigating how or whether these are legitimized by, and therefore in some sense reproduce, the deeper structural conditions that prompted the desire for change in the first place. For exploring these complex and potentially contradictory processes, I now turn to Georgina Born’s exploration of Music and the Social (Born 2012). Building upon Will Straw’s (1991) scene theory, Born suggests that an adequate theory of music’s social mediation must consider the numerous socialities  produced by music and that these can be analyzed in terms of four “distinct and mutually modulating or intersecting planes” (Born 2012, 263). The first plane is the level of performance or practice, in which musical engagement produces its own immediate social relations. The second concerns the musical creation of imagined communities that, based on musical or other identifications, constitute virtual collectivities that transcend time and place. The third plane points to the musical conveyance of wider social identity formations such as class, race, ethnicity, gender, nationality, or locality, while the fourth deals with the institutional structures that enable musical production, reproduction, and transformation, recognizing how musical practices are always part of specific institutional formations that regulate musical engagement. Born maintains that social analysis of music cannot be reduced to one or some of these planes, neither can simple determinations between the planes be assumed. The planes are irreducible to each other, and even though each plane can be said to have a certain autonomy, the planes of social identity and institutional formation cannot be reduced merely to “context” as these levels of sociality “are folded into musical experience; they both permeate and are permeated by music’s intimate socialities and imagined communities” (267). Thus, better than DeNora’s theory, Born’s model allows for a concern with scale (Born 2012, 273). Scale is addressed through a differentiation in terms of analytical levels, that is, the relationships created in immediate performance can be seen as occurring at a distinct level of sociality. This makes it possible to explore both distinctive characteristics of socialities belonging to each plane as well as their dynamic interactions and cross-scalar relations, which again brings attention to how transformations of social relations on one plane may have transformative—or reproductive— effects on another. The model does not entail a fixed procedure of analysis, rather, as a general theory of music’s mediation of the social, the model provides a complex map by the help of which a specific form of musical sociality of interest to the analyst can be traced and explored both in terms of its autonomous workings as well as how it affects and is affected by socialities produced on other planes. While Born primarily develops this framework to substantiate her general argument “that music necessitates an expansion of previous conceptions of the social” (266), I believe this model is of significant value to music educators who seek to explore the potential ambiguous and conflictual effects of social music making. As Born’s framework entails analyses of how subjectivities and socialities are constituted through a dynamic interplay of social relations adhering to different levels of social reality, a certain fragility and instability are inscribed into such processes. Thus, more readily than the dominant conceptions of music and social transformation, Born’s perspective addresses social relations “in all their complexity as constituted also by difference, contradiction, and antagonism” (274), which allow for more nuanced understandings of music’s social effects. In this section I aim to show how the expanded view of musical sociality presented above can inform a critical social analysis of musical practice. For this purpose, I will be using my own fieldwork experiences from a music program in a Palestinian refugee camp in South Lebanon. The central issue for this analysis is the question of how the participants in the music program negotiate their social (refugee) and cultural (Palestinian) identities through music making. The scope of this article does not allow for a thorough analysis of the complex workings of music in this setting, however, by drawing attention to how musical socialities are constituted across different planes of social reality, this concise account demonstrates how the analytical perspective employed here allows for the more contradictory and ambiguous effects of music making to come into view. Most importantly, the analysis of the Palestinian music program points to the complex intersection of transgressive and normative functions of musicking. The analysis is based on the intimate knowledge I have of the Palestinian music program due to an eight-month stay in Lebanon in 2012, during which I participated in the program as a music teacher, and through subsequent visits in 2016 and 2018. During these later visits, I engaged primarily in the musical practice as a participant observer (Hammersley and Atkinson 2007; Spradley 1980), and I also conducted sixteen semi-structured interviews (Brinkmann and Kvale 2015) involving 23 people, including participants and teachers from the music program as well as social workers and young Palestinians from the camp and neighboring camps. Focusing on the experience of two of the participants, designated the pseudonyms “Hanin” and “Ali,” the following account is constructed as a narrative analysis (Polkinghorne 1995), in which relevant actions, events, interpretations, and contextual information are related to one another and presented as a coherent narrative that allows for insight into the theme in question. While I have attempted to convey my informants’ experiences of their musical engagement as accurately as possible, in order to preserve their anonymity, not all other personal details revealed pertain to these particular persons. However, the narrative is construed in a way to deliver a truthful image of the social conditions and life experiences of young Palestinians growing up in refugee camps in Lebanon. Hanin and Ali are both in their late teens and live with their families in the refugee camp Rashidieh in the southern part of Lebanon, a two square kilometer plot of land just twenty-five kilometers north of the Israeli border. Although they are Palestinian, they are both born in Lebanon as third-generation refugees as the consequence of their grandparents’ expulsion from their villages in the northern part of Palestine following the Israeli-Arab war in 1948. These events, which the Palestinians term al nakba, the catastrophe, still mark the lives of thousands of Palestinian refugees. Denied basic human rights such as the right to work or own property, the Palestinians are stuck in an extremely vulnerable position, barely tolerated by their Lebanese hosts and neglected by the international community, which has largely forgotten about the ongoing injustice that has befallen the Palestinians in Lebanon. A number of non-governmental organizations (NGOs) and political institutions are present in the camp, offering various services to the Palestinians. One of these NGOs is Beit Atfal Assumoud (BAS), which in cooperation with Norwegian NGOs and music educators from the Norwegian Academy of Music has established a music program for the children of Rashidieh. Every Friday and Sunday, Hanin, Ali and 40 to 80 other children and youngsters aged 6 to 21 participate in various musical activities, instrumental tuition, band rehearsals and dance training at the BAS social center led by five local musicians with financial and pedagogical support from the Norwegian collaborators. This partnership has resulted in a music program with a highly diverse musical repertoire consisting of traditional and new Palestinian music alongside Norwegian folk music and pop songs and a couple of Beatles tunes. For both Hanin and Ali, the Norwegian-Palestinian partnership has also resulted in an experience they both regard as personally significant. In 2012, they were part of a Palestinian delegation traveling to Norway for a two-week visit to the Norwegian partner institutions. This cultural exchange program has, since 2002, resulted in numerous mutual visits by Palestinian participants and Norwegian youngsters, music students and music educators. For the Palestinians, the cultural exchange activities are important, not only because they allow for rare opportunities to leave the refugee camp and Lebanon, but also because they enable the Palestinians to show that they exist, that they have “a culture,” and to have these cultural expressions acknowledged and appreciated by an international audience. The transformative potential in these activities lies in the way experiences of marginalization and exclusion are being challenged and subverted. This process has been investigated in a study of the cultural exchange activities (Boeskov 2013) through an analysis that draws attention to the intersection of the first (immediate performance) and third (social identity) plane in Born’s model. By engaging in a shared performance, playing music, and dancing with Norwegian peers, a form of sociality is “performed into being” that alters the experiences of neglect and exclusion in significant ways. As the study shows, the Palestinian participants experience the music activities as concrete enactments of equality, communality, and mutual respect, and they are, in this way, provided with new ways of understanding themselves and their social and cultural identity as someone who is respected and valued, rather than excluded and marginalized. Also, because the music is not bound to a place or time, these experiences can be sustained and reenacted by the participants as they return to the refugee camp where they continue to perform—for themselves and for others—the music they played together with their Norwegian friends. In the context of the cultural exchange, the Palestinian participants come to act as representatives of the Palestinian people and culture, and, as suggested above, this affords new ways of experiencing social relationships. However, in Ali’s mind, learning music is not solely about representing the Palestinians. Rather, Ali uses his musical abilities to connect to an international youth culture and thereby to meanings that transcend the boundaries of the refugee camp and his identity as a Palestinian. In terms of analytical levels, I am now adding perspectives from Born’s second plane, which concerns the musical creation of imagined communities, that is, how elements in the musical practice allow for the constitution of virtual collectivities that transcend time and place. For Ali, feelings of belonging to an imagined community are invoked through the meanings he attaches to his musical instrument. Ali plays the saxophone, an instrument not traditionally used in Arabic music and, therefore, brought into the music program by the Norwegian music educators. For this reason, Ali links his instrument to what he calls “Western music.” As it is not possible for Ali to play quarter tones on a saxophone, he nearly always faces difficulties when traditional Palestinian or Arabic music is performed. When asked about this, he responds: “A lot of people tell me that, you are an Arab guy, you should just play Eastern music or Arabic music. I tell them, no, I also like the Western culture. I like English music.” Ali explains how he feels divided between an “Eastern” and a “Western” identity, but that he identifies more with the “Western” and enjoys playing “Western” music rather than the Palestinian songs. Playing the saxophone enables Ali to establish affiliations with a virtual community of (“Western”) musicians, and the way his instrument affords some ways of playing (songs using “Western” scales) and not other ways (songs using “Eastern” scales) becomes symbolic for Ali’s attempt to compose a more complex subjectivity that challenges narrow definitions of what a young Palestinian can be or should do. Every country has its history, has its culture, and it must always try to keep these things in their minds. And with the help of, for example, Beit Atfal Assumoud [the NGO running the music program], my second family, they always help us to keep these things. Maybe when I was born, I didn’t know what is meant by Palestine or Jerusalem or anything else, but when you see people coming from Palestine to here or see people all the time talking about my culture, traditional songs, the dress of Palestinian girls or boys, I start thinking that I should keep this culture in my mind, to tell other people about it. And a person without culture is nothing. If they ask me “where are you from?” I have nothing to say. I am nothing. Hanin’s understanding of culture as something belonging to a specific country that could and should be kept in the mind of its people illustrates how Palestinian identity and culture is reified in the music program. Songs, dresses, and dances become expressions of primordial cultural identity and means by which the participants can attach themselves to this identity and the values it is believed to stand for. The musical practice functions in this way as an important space for maintaining and displaying Palestinian culture, thereby asserting a unique Palestinian identity and securing the transmission of this identity to the coming generation of Palestinian refugees. Thus, while the musical practice in significant ways alters or challenges experiences of marginalization and neglect and provides participants with resources by which they can belong to their community and attach themselves to broader social and cultural configurations, these transgressive movements are intimately linked to a set of normative processes connected to the imposition of a specific and essentialized version of Palestinian identity related to a particular place and particular cultural traditions. These normative constraints are also tied to institutional aims and legitimation strategies (we are here dealing with issues pertaining to the underlying institutional formations, which is the fourth plane in Born’s model). Representing Palestine is extremely important for BAS, the organization running the music program. While political factions strive for power inside the camps, hosting commemorative events and educating the new generation of Palestinians are seen as uniting and respectable endeavors, providing BAS with important social legitimation in the exile community. The BAS social center in Rashidieh often presents shows during Palestinian holidays such as the commemoration of al nakba, the commemoration of the massacres in Sabra and Shatila (1982), or Palestinian Land Day. At these occasions, Ali, Hanin, and the other participants in the music program perform songs of longing towards the lost homeland and choreographed dances depicting the stoic Palestinian pre-1948 peasant in front of an enthusiastic audience of family and friends. These performances are valued for the way they express positive feelings toward Palestinian identity and history; however, they are also significant because they convey how the coming generation of Palestinian refugees identifies with this history. By performing “Palestinianness,” the participants are reinscribed in a certain narrative, acknowledging its legitimacy and accepting its traumatic inheritance through which their past as well as their future is interpreted. This show of loyalty is important to the wider community of Palestinians in Lebanon and especially to the political and social institutions that claim to represent them because it conveys an image of a united and steadfast Palestinian population awaiting the just and inevitable return to their homeland. However, while such performances express the resiliency of the Palestinian community and thereby challenge its continuing marginalization, they also posit this marginalization as the dominant category through which the participants are to interpret their existence. Without a doubt, the music program offers experiences of genuine joy and excitement through music making to its participants as well as opportunities to perform social relations that challenge pervasive feelings of exclusion and deprivation. That said, it is important to recognize how the performance of these relationships is embedded in certain social, institutional, and political structures that, at a deeper level, define the subject positions, identifications, and social relations available to the participants. These positions are not necessarily experienced as traumatizing or even problematic by the participants themselves. However, based on my fieldwork and the accounts from anthropologists working among the Palestinians, I find it reasonable to suggest that the young Palestinians growing up in refugee camps in Lebanon are struggling not only against marginalizing structures imposed from outside the Palestinian community but also against the victimization that is enacted from within. Ali’s attempt to resist such normative constraints by identifying himself as “Western” rather than “Palestinian” is one example of how the musical imposition of a predefined social and cultural identity is not uncritically embraced by all participants. In other words, while the music program in many ways provides resources that allow for a transgression of some confining aspects of the social experience of its participants, it is at the same time reinstating and reinforcing other parts of the social formation, which places significant constraints on how subjectivities and socialities are constituted and maintained. Tracing how musical socialities are constituted across different social planes—in Born’s (2012) terms as immediate performance relations, imagined communities, wider identity formations, and institutional structures—composes a heterogeneous and complex picture of how potential conflictual relationships interact across these different levels that constitute our social worlds. Rather than a liberating means of positive social transformation, for the participants in the Palestinian music program, musical performance appears to enter an already existing mix of transgressive and normative identifications and practices. While the analysis undertaken here only superficially addresses the dynamics in this particular practice, I believe it nonetheless demonstrates the potential of expanding the dominant analytical models to arrive at more genuine understandings of the ambiguous outcomes of socio-musical practices. The central argument in this article is that while the dominant conceptions of musical sociality have contributed with significant insights into the transformative potential of music, they do not fully account for the potential ambiguous and conflictual consequences of social music making. I argue that adopting a view which attends to how numerous and potentially conflicting musical socialities are constituted at different planes of social reality, here exemplified by Born’s (2012) model of the social mediation of music, will allow for more coherent and genuine understandings of music’s transformative powers, attentive of the complex intersection of transgressive and normative functions of musical practices. However, that an expanded view of musical sociality does not necessarily amount to a complete rejection of idealistic claims becomes evident in Born’s discussion of how musical performance may contribute to social transformation. Referring to historical and anthropological research, Born locates this potential in the “autonomy of the socialities of musical performance and practice” which allows for the enactment of “alternatives to or inversions of … wider hierarchical and stratified social relations” (269). Although Born seems cautious not to attribute too much power to such enactments of alternative structures, she entertains the idea that the autonomous workings of immediate performance potentially create a “utopian social space” (269) through which musical performance acts upon—and potentially overturns—the wider social relations. While I agree that musical performance is an effective means of fashioning social experience differently, I consider Born’s employment of the idea of musical utopia as inexpedient because it suggests that if musical performers succeed in their endeavor, the result is likely to be a positive or desirable transformation of social relations. Instead, I argue that the model of dissociation between the musical practice and social reality implied by the idea of the musical utopia risks concealing how underlying ideological forces guide and control the utopian space. Although seemingly enacting alternative experiences, such performances are not necessarily subversive, but potentially implicated in reproducing other aspects of the social formation and, in this way, contribute to the legitimation and naturalization of social normativity (see also Boeskov 2017). As pointed to in the analysis of the Palestinian music program, while musical performance in this context allows for resistance toward unjust social structures, the musical practice simultaneously contributes to the imposition of a specific version of Palestinian identity, thereby also commanding the adoption of certain attitudes, feelings, and convictions connected to Palestinianness and the acceptance of a particular interpretation of the past, present, and future for the Palestinian refugees. Seen from this perspective, the question for a critical social analysis of musical practice is not, as Born (2012, 269) frames it, whether the musical performance is efficacious in overturning the wider social relations or not. Instead, the task becomes to map out the more complex social workings of musical practices, which are likely to involve transgressive functions as well as mechanisms that tacitly reinforce social normativity. Failing to address how immediate social relations produced in musical performance are connected to wider social and institutional formations entails a risk of exaggerating the transgressive and transformative functions of musical performance and overlooking the normative or constraining aspects. The result is not only inadequate analyses of music as a means of social transformation. More disturbingly, such analyses also contribute to concealing and naturalizing the power relations upholding the status quo. Disregarding how musicking involves constraining as well as transgressive features may thereby reinforce rather than transform the marginalizing structures that music making supposedly can contest. While musical practices obviously must be analyzed in terms of their specific embeddedness in social and institutional structures, I will argue, following Born, that a common imperative for analysts seeking to understand the transformative power of music is to attend to these relations “in all their complexity as constituted also by difference, contradiction, and antagonism” (Born 2012, 274). I believe this stance will guide the field of music education toward a genuine understanding of the fragile, unstable, and ambiguous power of music. Allan, Diana. 2014. Refugees of the revolution. Experiences of Palestinian exile. Stanford, California: Stanford University Press. Allan, Diana. 2018. “This is not a politics”: Solidarity and Subterfuge in Palestinian Refugee Communities in Lebanon. South Atlantic Quaterly 117 (1): 91–110. Baker, Geoffrey. 2014. El Sistema. Orchestrating Venezuela’s youth. Oxford: Oxford University Press. Baker, Geoffrey, Vincent C. Bates, and Brent C. Talbot, eds. 2016. Action, Criticism, and Theory for Music Education, 15 (1). Special issue: El Sistema. Belfiore, Eleonora, and Oliver Bennett. 2008. The social impact of the arts. An intellectual history. New York: Palgrave Macmillan. Bergh, Arild, and John Sloboda. 2010. Music and art in conflict transformation: A review. Music & Arts in Action 2 (2): 2–17. Boeskov, Kim. 2013. Meningsfyldte møder – om norsk/palæstinensisk kulturudveksling. In Løft blikket – gjør en forskjell. Erfaringer og ringvirkninger fra et musikkprosjekt i Libanon, edited by Vegar Storsve and Brit Ågot Brøske Danielsson, 127–48. Oslo: Norges musikkhøgskole. Boeskov, Kim. 2017. The community music practice as cultural performance: Foundations for a community music theory of social transformation. International Journal of Community Music 10 (1): 85–99. Born, Georgina. 2012. Music and the social. In The cultural study of music. A critical introduction, second edition, edited by Martin Clayton, Trevor Herbert and Richard Middleton, 261–74. New York and London: Routledge. Bowman, Wayne. 2009. No one true way: Music education without redemptive truth. In Music Education for Changing Times, edited by Thomas A. Regelski and J. Terry Gates, 3–15. New York: Springer. Bowman, Wayne. 2010. Envisioning the impossible. Action, Criticism, and Theory for Music Education 9 (3), 1–7. Brinkmann, Svend, and Steinar Kvale. 2015. InterViews. Learning the craft of qualitative research interviewing, third edition. Thousand Oaks, California: Sage. Brøske, Brit Ågot. 2017. The Norwegian Academy of Music and the Lebanon Project: The challenges of establishing a community music project when working with Palestinian refugees in South Lebanon. International Journal of Community Music 10 (1): 71–83. Butler, Judith. 1990. Gender trouble. Feminism and the subversion of identity. London: Routledge. Cohen, Mary L. 2007. Christopher Small’s concept of musicking: Toward a theory of choral singing pedagogy in prison contexts. Ph.D. dissertation, University of Kansas. Danielsen, Brit Ågot Brøske. 2013. Community music activity in a refugee camp – student music teachers’ practicum experiences. Music Education Research 15 (3): 304–16. DeNora, Tia 2003. After Adorno. Rethinking music sociology. Cambridge: Cambridge University Press. Dyndahl, Petter, and Øivind Varkøy. 2017. Hva er musikk godt for? B: Om musikkundervisning, likhet og ulikhet. En dialog. In Musikk – dannelse og eksistens, edited by Øivind Varkøy, 140–54. Oslo: Cappelen Damm Akademisk. Elliott, David J., and Marissa Silverman. 2015. Music matters. A philosophy of music education, second edition. New York: Oxford University Press. Frierson-Campbell, Carol. 2016. Musicking in a West Bank conservatory: Toward a sociological framework. Action, Criticism, and Theory for Music Education 15 (3): 132–50. Frierson-Campbell, Carol, and Keumje Park. 2016. “I want to learn that”: Musicking, identity, and resistance in a Palestinian music academy. 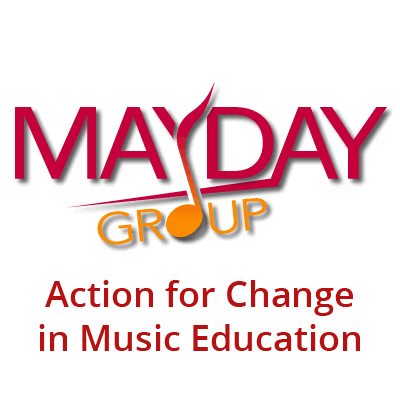 Action, Criticism, and Theory for Music Education 15 (2): 73–100. Hammer, Juliane. 2005. Palestinians born in exile. Diaspora and the search for a homeland. Austin: University of Texas Press. Hammersley, Martyn, and Paul Atkinson. 2007. Ethnography. Principles in practice, third edition. London and New York: Routledge. Hennion, Antoine. 2012. Music and mediation: Toward a new sociology of music. In The cultural study of music. A critical introduction, second edition, edited by Martin Clayton, Trevor Herbert and Richard Middleton, 249–60. New York and London: Routledge. Hennion, Antoine. 2015. The passion for music. A sociology of mediation. Farnham: Ashgate. Hesmondhalgh, David. 2008. Towards a critical understanding of music, emotion and self‐identity. Consumption Markets & Culture 11 (4): 329–43. Hesmondhalgh, David. 2013. Why music matters. Chichester, West Sussex, UK: John Wiley & Sons Ltd.
Higgins, Lee. 2012. Community music in theory and in practice. New York: Oxford University Press. Higgins, Lee, and Lee Willingham. 2017. Engaging in community music. An introduction. New York: Routledge. Johansen, Geir. 2017. Hva er selvkritisk musikkpedagogikk, og hvordan skal vi forholde oss til den? In Musikk, handlinger, muligheter, edited by Karette Stensæth, Gro Trondalen and Øivind Varkøy, 265–78. Oslo: Norges musikkhøgskole. Juntunen, Marja-Leena, Sidsel Karlsen, Anna Kuoppamäki, Tuulikki Laes, and Sari Muhonen. 2014. Envisioning imaginary spaces for musicking: Equipping students for leaping into the unexplored. Music Education Research 16 (3): 251–66. Kallio, Alexis A., Heidi Westerlund, and Heidi Partti. 2014. The quest for authenticity in the music classroom. Nordic Research in Music Education Yearbook 15: 205–24. Karlsen, Sidsel. 2011. Using musical agency as a lens: Researching music education from the angle of experience. Research Studies in Music Education 33 (2): 107–21. Kertz-Welzel, Alexandra. 2005. The Pied Piper of Hamelin: Adorno on music education. Research Studies in Music Education 25 (1): 1–12. Kertz-Welzel, Alexandra. 2016. Daring to question: A philosophical critique of community music. Philosophy of Music Education Review 24 (2): 113–30. Martin, Peter J. 1995. Sounds and society. Themes in the sociology of music. Manchester: Manchester University Press. Martin, Peter J. 2006. Music, identity, and social control. In Music and manipulation. On the social uses and social control of music, edited by Steven Brown and Ulrik Volgsten, 57–73. New York: Berghahn Books. Nikkanen, Hanna M., and Heidi Westerlund. 2017. More than just music: Reconsidering the educational value of music in school rituals. Philosophy of Music Education Review 25 (2): 112–27. Odendaal, Albi, Olli-Taavetti Kankkunen, Hanna M. Nikkanen, and Lauri Vakeva. 2013. What’s with the K? Exploring the implications of Christopher Small’s ‘musicking’ for general music education. Music Education Research 16 (2): 162–75. Peteet, Julie. 2005. Landscape of hope and despair. Palestinian refugee camps. Philadelphia: University of Pennsylvania Press. Philpott, Chris. 2012. The justification of music in the curriculum: Music can be bad for you. In Debates in music teaching, edited by Chris Philpott and Gary Spruce, 48–63. London: Routledge. Polkinghorne, Donald E. 1995. Narrative configuration in qualitative analysis. In Life history and narrative, edited by J. Amos Hatch and Richard Wisniewski, 5–23. London: The Falmer Press. Regelski, Thomas A. 1996. Prolegomenon to a praxial philosophy of music and music education. Finnish Journal of Music Education 1 (1): 23–38. Ruud, Even. 2012. The new health musicians. In Music, health, and wellbeing, edited by Raymond MacDonald, Gunter Kreutz and Laura Mitchell, 87–96. Oxford: Oxford University Press. Røyseng, Sigrid, and Øivind Varkøy. 2014. What is music good for? A dialogue on technical and ritual rationality. Action, Criticism, and Theory for Music Education 13 (1): 101–25. Sayigh, Rosemary. 1979. Palestinians: From peasants to revolutionaries. London: Zed Books. Sayigh, Rosemary. 1994. Too many enemies: The Palestinian experience in Lebanon. London: Zed Books. Schulz, Helena L. 2003. The Palestinian diaspora. Formation of identities and politics of homeland. London: Routledge. Segal, Lotte B. 2016a. Ambivalent attachment. Melancholia and political activism in contemporary Palestine. Ethos 44 (4): 464–84. Segal, Lotte B. 2016b. No place for grief. Martyrs, prisoners, and mourning in contemporary Palestine. Philadelphia: University of Pennsylvania Press. Small, Christopher. 1998. Musicking. The meanings of performing and listening. Middletown, CN: Wesleyan University Press. Spradley, James P. 1980. Participant observation. Fort Worth: Harcourt Brace College Publishers. Stanton, Burke. 2018. Musicking in the borders. Toward decolonizing methodologies. Philosophy of Music Education Review 26 (1): 4–23. Storsve, Vegar, and Brit Ågot Brøske Danielsen, eds. 2013. Løft blikket ­– gjør en forskjell. Erfaringer og ringvirkninger fra et musikkprosjekt i Libanon. Oslo: Norges musikkhøgskole. Storsve, Vegar, Inger Anne Westbye, and Even Ruud. 2010. Hope and recognition: A music project among youth in a Palestinian refugee camp. Voices: A World Forum for Music Therapy 10 (1). Strathern, Marilyn. 1988. The gender of the gift. Problems with women and problems with society in Melanesia. Berkeley: University of California Press. Straw, Will. 1991. Systems of articulation, logics of change: Communities and scenes in popular music. Cultural Studies 5 (3): 368–88. Turino, Thomas. 2008. Music as social life. The politics of participation. Chicago: University of Chicago Press. Turino, Thomas. 2016. Music, social change, and alternative forms of citizenship. In Artistic Citizenship: Artistry, Social Responsibility, and Ethical Praxis, edited by David J. Elliott, Marissa Silverman and Wayne D. Bowman, 297–311. New York: Oxford University Press. Veblen, Kari, Stephen J. Messenger, Marissa D. Silverman, and David J. Elliott. 2013. Community music today. Plymouth: Rowman & Littlefield Education. Veblen, Kari, and Bengt Olsson. 2002. Community music. Toward an international overview. In The new handbook of research on music teaching and learning, edited by Richard Colwell and Carol P. Richardson, 730–53. Oxford: Oxford University Press. Yerichuk, Deanna. 2014. ‘Socialized music’: Historical formations of community music through social rationales. Action, Criticism, and Theory for Music Education 13 (1): 126–54. See, for instance, Arild Bergh and John Sloboda’s (2010) review of literature on music and conflict transformation, the critical accounts of El Sistema by Geoffrey Baker (2014) and others (Baker, Bates and Talbot 2016; Boia and Boal-Palheiros 2017), Alexandra Kertz-Welzel’s considerations of Adorno’s critique of music education (Kertz-Welzel 2005), historical and philosophical critiques of community music (Kertz-Welzel 2016; Yerichuk 2014), Chris Philpott’s (2012) discussion of the justification of music in the curriculum, Sigrid Røyseng’s notion of “ritual rationality” (Røyseng and Varkøy 2014) and Petter Dyndahl and Øivind Varkøy’s (2017) discussion of music education and equity/inequity. According to Geir Johansen (2017), these accounts can be seen as examples of a recent tendency of increased self-criticism in the field of music education. See also Hesmondhalgh (2013, 91–92) for a similar critique of Small’s theory. See Martin (1995, ch. 4) for an elaborated discussion of the links between musical and social structures. This is what Judith Butler’s theory of gender performativity has illuminated. As she writes, “There is no gender identity behind the expressions of gender; that identity is performatively constituted by the very ‘expressions’ that are said to be its results” (Butler 1990, 33). Pierre Bourdieu discusses this function of social rites in the essay Rites of institution (Bourdieu 1991, 117–26). From the field of music education, these scholars include Cohen (2007), Frierson-Campbell (2016), Frierson-Campbell and Park (2016), Juntunen, Karlsen, Kuoppamäki, Laes and Muhonen (2014), Kallio, Westerlund and Partti (2014), Karlsen (2011), Nikkanen and Westerlund (2017), Odendaal, Kankkunen, Nikkanen and Vakeva (2013) and Stanton (2018). By using the term mediation, Born emphasizes how musical meaning is constituted by human as well as non-human mediators, i.e., the gestures, bodies, habits, objects, places, institutions, etc. through which the music appears (see also Hennion 2012, 2015). In defining the notion of sociality, Born points to Marilyn Strathern for whom the concept refers to the “creating and maintaining of relationships” (Strathern 1988, 13). An important point for Strathern as well as for Born is that sociality can be conceived as singular as well as plural, and that “[s]ocial life consists in a constant movement … from one type of sociality to another” (Strathern 1988, 14; quoted in Born 2012, 264). Polkinghorne (1995) holds that narrative analyses are “emplotted accounts with a beginning, middle, and end” (12) and therefore, usually involve a focus on the temporal and developmental dimension of human experience. Despite the obvious relevance of this perspective for understanding processes of social transformation in the Palestinian music program, the scope of this article and the limited space allocated for presentation of empirical data necessitate a downplaying of temporality, emphasizing instead the simultaneity of competing musical socialities occurring at different levels of social reality. For a fuller picture, readers are directed to other research studies related to this music program, including Boeskov (2013, 2017); Brøske (2017); Danielsen (2013), Ruud (2012); Storsve and Danielsen (2013), and Storsve, Westbye, and Ruud (2010). For detailed accounts of the experience of Palestinian refugees in Lebanon, see Allan (2014), Hammer (2005), Peteet (2005), Sayigh (1979; 1994), and Schulz (2003). The analysis, however, did not use Born’s framework or terms. The Palestinian Land Day marks the death of six Arab/Palestinian citizens living in the State of Israel who were killed on March 30, 1976 in a confrontation with Israeli security forces when they protested the Israeli government’s plans to expropriate Palestinian land for settlement purposes. See especially the work of Diana Allan (2014, 2018) and Lotte Buch Segal (2016a, 2016b).